Back to EE, the carrier will flip the switch on its 5G networks in London, Cardiff, Edinburgh, Belfast, Birmingham and Manchester first. Ten more cities will get 5G coverage in 2019. EE expects these first 1,500 5G sites to carry as much as 25% of all data across its network even though they will cover only 15% of the UK’s population. The OnePlus 5G phone will use the sub-6GHz technology that is being rolled out by EE. It offers wider coverage, but not the blazing speeds of mmWave 5G that AT&T and Verizon are launching in the US. Another warning from Lau: supporting the 5G flavors of multiple carriers will be even trickier than it is for 4G. 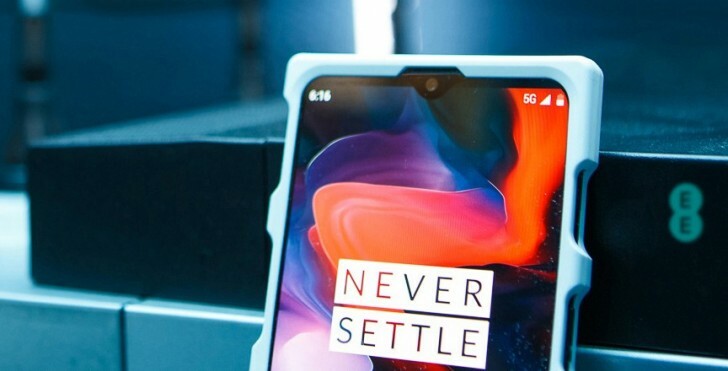 This means that it will be a while before a 5G phone from OnePlus arrives in the US. Apparently, the need to use multiple antennas for mmWave is making the design really hard. Lau says “It appears impossible to make a nice-looking flagship device, for now”. 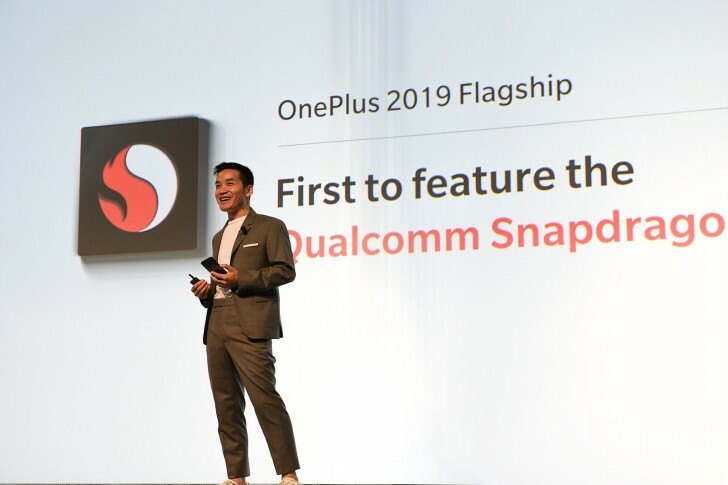 There was another announcement from the Qualcomm gathering: the next OnePlus flagship will be the first to feature the Snapdragon 855. It’s not quite clear if this refers to the 5G phone or not. Either way, this will be a first for OnePlus, but will not be the first phone in the world to use the Snapdragon 855 (as the slide above implies).